One of the exciting things about modern orthodontics–approaches that are used to straighten teeth–is that we have many new options for giving you the results you want. The only downside is how to decide? Which is the best orthodontic treatment for you? A consultation with cosmetic dentist Dr. Mike Firouzian can help clear up your options and is the best way to decide on the best orthodontic treatment. Please call (614) 848-5001 today to schedule your consultation at Firouzian Dentistry in Columbus, OH. We’ll run through each of these considerations so you can think about them before your consultation. The most important factor in deciding on your orthodontic treatment is the amount and type of tooth movement necessary. Traditional braces are best for complex tooth movements, especially for neuromuscular orthodontics. Bracket and wire braces are also generally better for rotated teeth and teeth that need to be raised out of the gums. Sometimes, teeth straightening isn’t enough to give you the smile of your dreams. If you have chipped or worn teeth (possibly because of an imbalanced bite that put too much force on them), you might want them to be built up. If one or more teeth are deeply discolored, you might want them whitened. If you are considering additional cosmetic treatments, you should consider the possibility that porcelain veneers can straighten your teeth and improve their appearance at the same time. Time is one of the biggest limiting factors in orthodontic treatment. For traditional orthodontics or Invisalign, treatment can take over a year. That’s a huge commitment of time, and might just not be possible if you have some special event you’re trying to look your best for. But there are other treatment options that can be completed sooner. This includes Six Month Smiles, which can complete orthodontic treatment for most people in about six months. The speed depends partly on limiting the scope of treatment, so it’s not right for everyone. 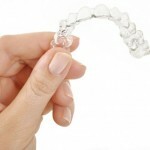 Invisalign Express can be used for people with very limited straightening required. It can be complete in just ten weeks. Also consider porcelain veneers, which can be complete in under a month–they’re not called “instant orthodontics” for nothing. But they can only be used in a limited number of cases. We understand that your budget can be an important factor in your decision. Porcelain veneers are probably the most expensive orthodontic option, depending on how much straightening and other work you want to accomplish. Invisalign is more expensive than traditional braces. Six Month Smiles can be less expensive because the treatment time is less, so it requires fewer office visits. A similar factor reduces the cost of Invisalign Express. Don’t let cost dominate your decision, though. Financing options are available to help you deal with the cost of orthodontic treatment so you can get the best results. We understand that you are committed enough to start orthodontic treatment, but to get the best results, you have to be committed to follow through. 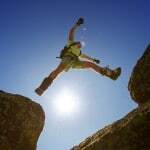 Some orthodontic treatments require more commitment than others. Traditional braces require the highest level of commitment. You have to commit to diet restrictions and complex care rituals for a long period of time. Six Month Smiles has a lower level of commitment because although it’s braces, the treatment time is less. Invisalign has a lower level of commitment because you don’t have diet restrictions and you don’t have to clean around braces. But you do have to commit to more brushing and flossing. Porcelain veneers have the lowest level of commitment. The treatment is quick, and once it’s complete your oral hygiene routine won’t be substantially changed. You also have to account for your personal preferences in treatment. If the idea of metal braces bothers you, an orthodontic treatment without braces–like Invisalign or porcelain veneers–might be best. Are you ready to talk to a cosmetic dentist about your orthodontic options? 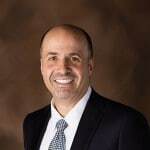 Please call (614) 848-5001 or contact us online for an appointment with Dr. Mike Firouzian at Firouzian Dentistry in Columbus, OH.